SketchUp is a world wide phenomenon in 3D modelling software, on its own it can be used to very quickly design and decorate interior spaces but works best when combined with a good 2D drafting tool to create cabinet making documents or detail plans. A good combination is SketchUp with RealCAD. RealCAD has a direct SketchUp file import facility and will be extremely useful in all the 2D detailing of your 3D designs. 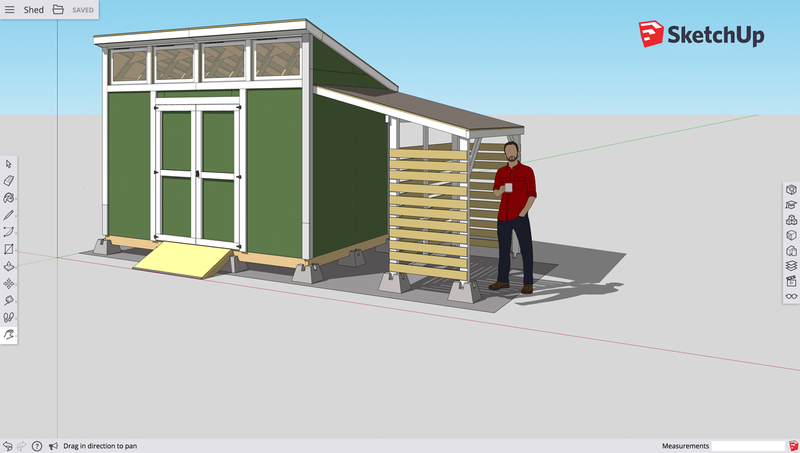 SketchUp is a decent 3D modeller that sits at a very accesible price point. If all you are looking for in your design is 3D modelling with no 2D elements then SketchUp will be great for you, however, the vast majority of interior designers will require more creativity, flexibility and power in there software. In the CAD environment, SketchUp is a bit like riding a bike with training wheels, you’ll have to try really hard to fall of but youll also never get much speed. As beforementioned, I would recommend SketchUp as an addition to one of the previously mentioned products. Designing a concept in 2D using Realcad or similar products, and then importing into SketchUp to show clients a 3D representation of the model is a highly effective combination among many industries, but on its own SketchUp isnt nothing more than a modeller.